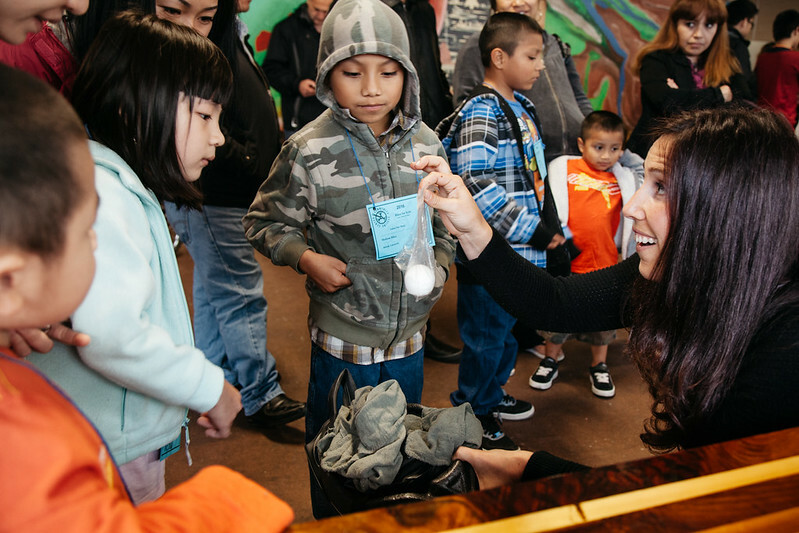 Excitement filled the Rosewood Initiative during Bikes for Kids with a formidable din that made any spoken language (and there were many) difficult to hear. Kids were excited. Adults. Volunteers. Staff. Donors. 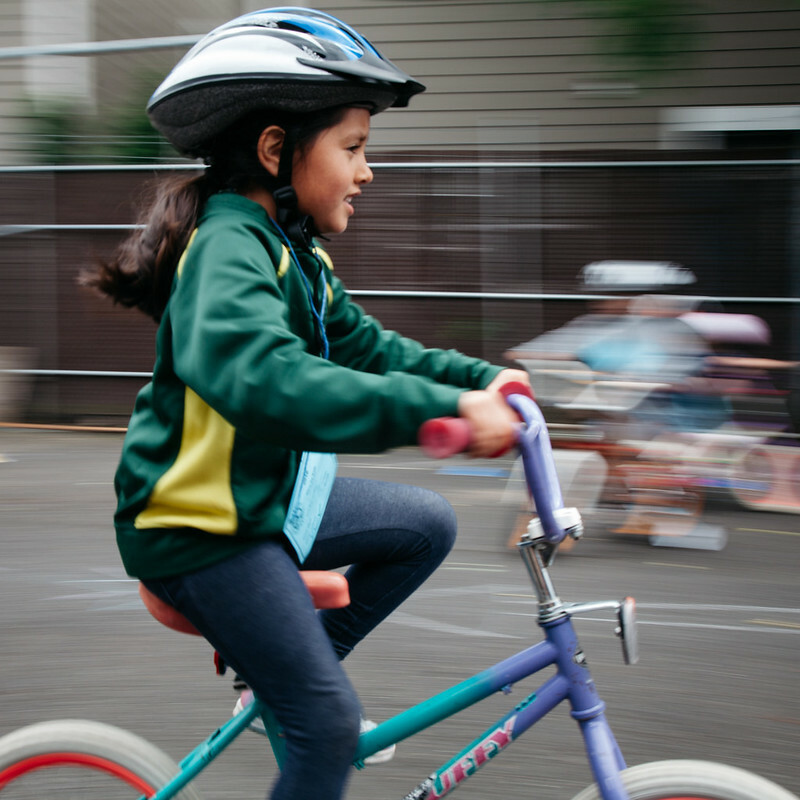 Bikes for Kids is the smaller, riding-season Holiday Bike Drive, this year occurring in May to coincide with National Bike Month. 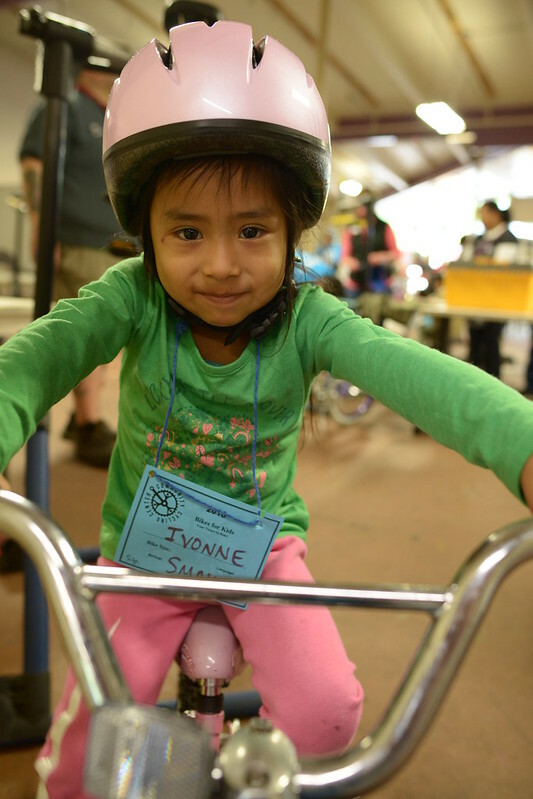 Approximately 100 children living in households with low incomes receive safety education, helmets, bicycles, and riding practice at this event. I chatted with one family at different points throughout their journey from the helmet lesson to the bike rodeo outside. 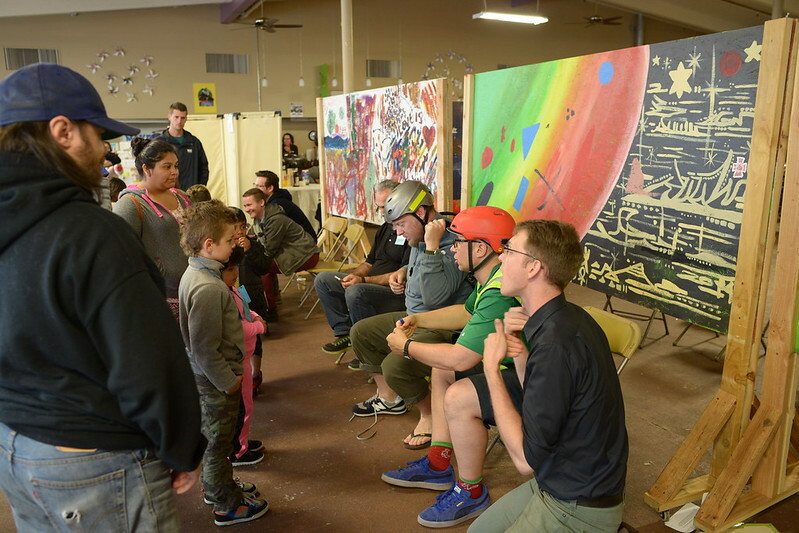 During the “egg drop,” where volunteers demonstrate the importance of helmets by having the children pack a raw egg in a helmet and drop it to the ground, I asked a trusted adult where he goes riding with the kids. “Can you tell me why you picked this bike?” I asked Haley. “I like the color,” she said with eyes sparkling and a small back and forth wiggle with her shoulders. “The black?” I asked to be sure. 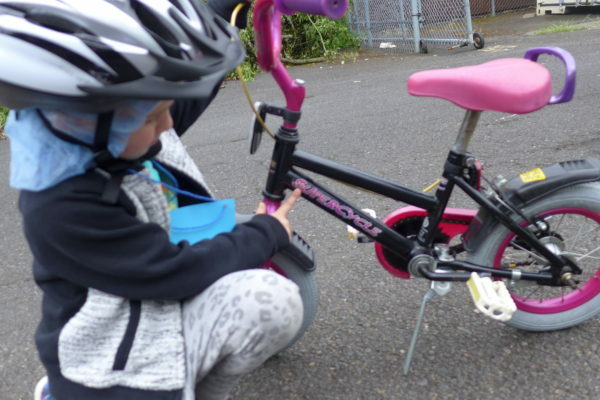 This small girl’s bike was mostly black with hot pink accents. Her older brother, Riley, picked out a red and white bike, and I asked him what he liked about it. I thought about the importance of color for a bike. I had two orange bikes at home. “Is orange your favorite color?” I asked. Outside, Haley stood by her bike pointing out its amazing features. When I approached, she showed me where it said, “I’m the Boss!” Her interpretation of the letters, S-U-P-E-R-C-Y-C-L-E, tickled me. While I was outside, I watched a girl learn how to use the coaster brakes on her new bike. She rode loop after loop through the rodeo course stopping at the stop sign each time with a wide smile. Back inside, I found my way blocked by a tiny, wide-eyed girl, Ivonne, wearing a pale pink helmet and pushing around a bubble gum pink bike with training wheels. To all my questions, Ivonne nodded. The words of this conversation didn’t matter. I happily witnessed her joy. All this excitement was made possible by a peloton of organizations, volunteers and donors. Special thanks to Rosewood Initiative for hosting Bikes for Kids. And huge thanks to the volunteers and donors who contributed time, bikes, and food to make the event happen. Click here to see more excitement from the event. 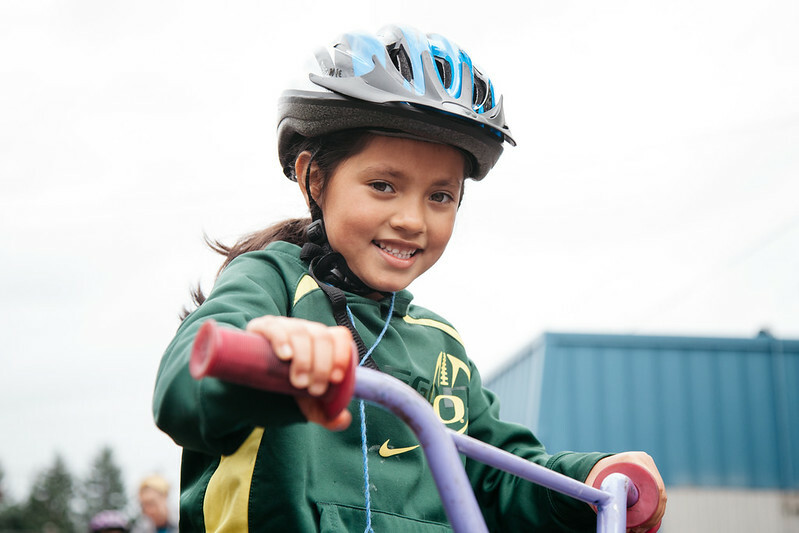 If you’d like to be a part of delivering joy to the young people of Portland who wouldn’t have access to a bike any other way, contact Community Cycling Center’s Volunteer & Event Manager, Patrick Loftus Patrick@communitycyclingcenter.org to learn more about volunteer opportunities.